At Contempo Closet, we’re proud of the wide range of customization options we have to offer our customers. Although things like dimensions and finish are important, we let you customize down to the smallest details, even though they might make a big difference. Handles, for instance, are a terribly underrated piece of hardware. Handles don’t just make your piece easy to open and close; they’re tiny accents on your piece that bring the design to its center and suggest new stylistic themes. Consider it casual elegance. 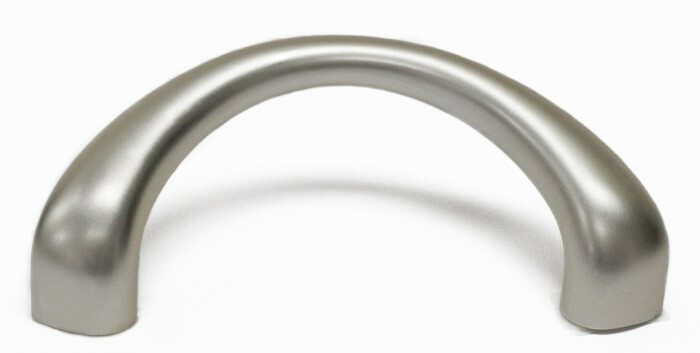 Contempo handles come in chrome and brass finishes, each of which carries its own mood and personality. Chrome finishes tend have a futurist tone, whereas brass handles might pull your piece just ever so slightly into a more transitional territory. Likewise the varying shapes of Contempo handle options each also bring varying levels of utility and tone. Some, such as the L handle are small and shy, whereas the check handle shines with dramatic flourish. The U handle stands strong and silent, not one to boast of its simple magnificence. See the rest of Contempo’s handle options here and see for yourself which of our varied handle options would lend a new edge to your space. This entry was posted in Closet, Furniture, Home and tagged decoration, furniture, handle options, handles, hardware, options. Bookmark the permalink.